… ALMOST AS OLD AS HUMANITY ITSELF, IT IS ONE OF THE MOST ORIGINAL, NATURAL MATERIALS EVER. 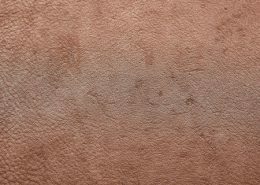 Leather has been around for as long as we can look back, as clothing, a material for transport, a covering for our cave entrances, protection against the cold, vessels for drinking, containers and much more. Perhaps it was the desire not to waste any of the valuable food that was so hard to come by that first awakened the desire in people to preserve and use skins. Preserving and tanning hides is one of humanity’s oldest skills. When the mummy of the roughly 5,300 year-old “Ötzi” was found in the Ötztal Alps, he was dressed in clothes made from fur and leather, a fur hat and leather shoes. The Ancient Egyptians knew about tanning with plant materials, which is shown by decorations on a sarcophagus that depict scenes with tanners. Leather (alum-tanned) in good condition was also found in Tutankhamun’s tomb. Leather is actually still just a by-product today. The need for food always comes first. When meat is needed, it automatically creates animal hides. To not use them and let them rot would be wasteful. Leather is, so to speak, a re-used by-product of the meat industry. But, of course, leather is not just leather! How it is made always makes a difference. If hides are handled with care and if leather is tanned and processed in a way that protects people and the environment, it can be made into wonderful, high-quality products that sustainably brighten up and holistically enrich peoples’ lives over a very long time, in harmony with nature’s ways. …the leathers used at tommy m are selected by hand. Wherever you go, you will not see leather as it is used on and processed for our furniture anywhere else. It is unique and so is the furniture that is made out of it. Leather is our passion and always has been. Thomas Machalke is the first person behind the tommy m brand. The owner of the company TM Collections grew up with leather and the art of processing this material. He became familiar with the peculiarities and special features of leather at a young age. 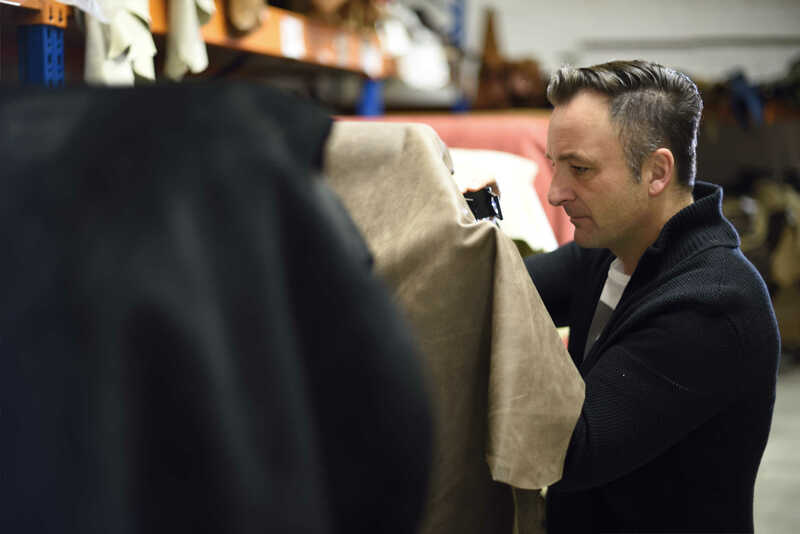 Now he uses these many years of experience, knowledge and skill to find leathers whose use and processing would be virtually impossible for others. At tommy m, leather is not simply bought from a catalogue. Thomas Machalke himself travels the world and visits different tanneries, looks at the material and manufacturing conditions and makes careful selections. There are several reasons for this. On the one hand, it obviously guarantees that tommy m’s high quality requirements with regard to materials, environment and sustainability are met, but on the other, it is because many leather “treasures” are not even available to “normal” customers. They are hidden away in the corners of manufacturer’s leather stores or perhaps intended for something completely different, such as handbags or clothes. Special leathers are not even offered to the average furniture manufacturer. Most of the leather furniture industry requires leather to be uniform because of machine-based and standardised manufacturing. Tommy m does not do uniformity. Thomas Machalke looks for something special and demands it, such as unique visual effects, where leather shows the natural traces of the hide or an impressive feel, for example when leather is so buttery-soft to touch that it feels like velvet or processing techniques that so far have not been used to produce upholstery leather. It is all possible with tommy m, thanks to vast knowledge and experience and specialisation in the special.